Gigabit fiber converters are devices that connect two dissimilar media types. They change Ethernet information to fiber optic signals and vice-versa. Even in the challenging industrial environment, they give solid and stable conversions. These gigabit fiber converters allow the links of UTP copper-based to use the fibers which integrate increasing links over more noticeable separations of fiber optic connection. They also ensure that data is not lost because of the external noises. 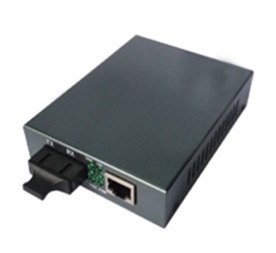 Shop our selection of Ethernet media converters available to the United States, Canada and Globally. Gigabit fiber converters can be used where there is state of electromagnetic interference (EMI) which is a typical phenomenon seen nowadays at different work locations. This interference can bring about the loss of data over copper-based Ethernet cables, but the data transmitted over fiber optic link is totally safe for this sort of phenomenon. Gigabit fiber Converters allow you to link copper-Ethernet devices to fiber assuring ideal information transmission. Gigabit fiber Converters are auto-negotiation, auto MDIX with skew correction, smart link pass-through, fiber fault alert, pause, duplex, jumbo packets, VLAN, remote lookup. They comply with IEEE 802.3ab 1000Base-T and IEEE 802.3z 1000Base-SX/LX standards. These devices convert Optical-Electric Ethernet signals between 1000M UTP interface (TX) and 1000M optical fiber interface (FX). They can also be connected with different optical fiber links, for example, multimode, single mode or single strand fiber link. Moreover, fiber interface connectors can be dual ST, dual SC, dual LC or single SC sort. The 1000Base-X fiber interface arranges as indicated by 802.3 clauses 37. The media converters support auto-transaction of full duplex, half duplex, remote deficiency, full duplex respite, asymmetric pause and Auto MDI-X. Moreover, they are also cost effective. Gigabit fiber converters are very user-friendly and easy to install as well. 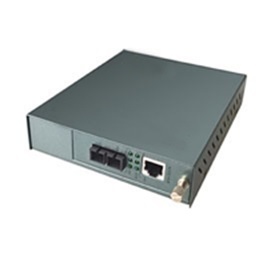 They have jumbo frame support and some advanced features of gigabit Ethernet media converters include link loss forwarding, remote monitor status and furthermore, they have two frame lengths. Gigabit Fiber Converters are most appropriate for big businesses and service provider applications, as they offer an inbuilt processor that screens if both copper and fiber are connected. This screens the condition of the connection to the end devices and ensures that every end-point knows whether the whole connection is up or not.